In our industry there are many acronyms and terms that can confuse homeowners and make it very difficult to understand what is wrong with your residential air conditioning system. Terms such as capacitor, hard start kit, evaporators, thermostatic expansion valves, suction and head pressure, superheat and subcool, SEER Ratings are mostly foreign to homeowners. 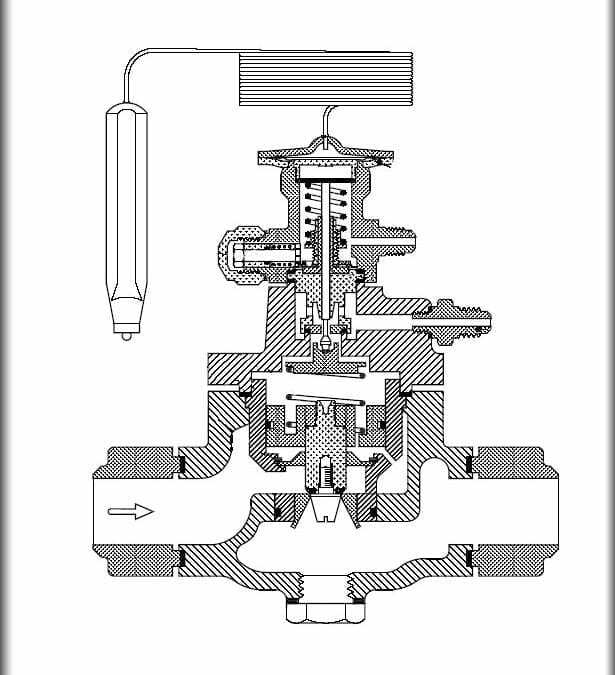 One of these terms Thermostatic Expansion valve or commonly known as a TXV valve is one of the most critical elements to your residential air conditioning system. The TXV controls the flow of liquid refrigerant to your indoor evaporator coil in your system. TXV Valves became common on air conditioning systems when Efficiency ratings increased in the last 10 years. These valves were installed on evaporator coils in order to increase the efficiency of the system. The TXV maintains a constant Superheat of the refrigerant vapor at the outlet of the evaporator coil. To measure the Superheat the TXV controls is the difference between the actual temperature at the sensing bulb and the saturation temperature corresponding to the suction pressure at the sensing bulb. So when your service technician mentions your Supeheat and TXV he is talking about controlling the liquid flow of refrigerant flow to your evaporator. This process if correct creates the Cool and Comfortable Temperature and removal of humidity in your home.